Lil’ late, but too cute not to share. I love this boy. 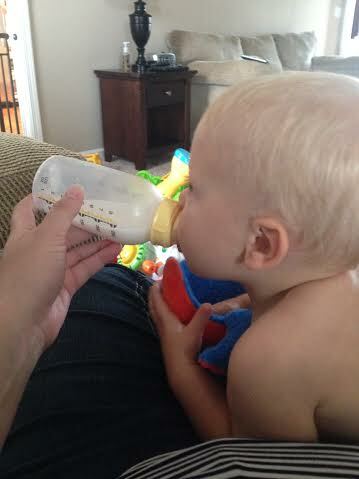 This is totally how all kids take their bottle, right? Can’t wait to share his First Birthday pics with y’all soon. But first, they need to get to his momma.